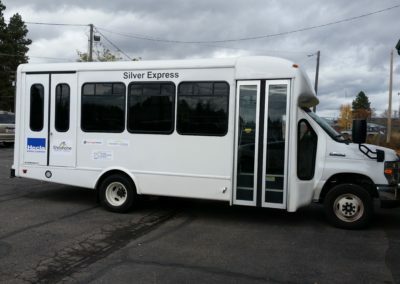 The Silver Express provides reliable, efficient and FREE public bus service. The Silver Express fixed route bus service operates Monday through Friday from 8:00 am to 5:30 pm. The fixed route begins in Kingston with stops in the cities of Kingston, Pinehurst, Smelterville, Kellogg, Osburn, Silverton, Wallace, and Mullan with additional stops in the unincorporated Shoshone County areas in between each city. The route makes 3 trips both east bound and west bound with 36 stops in each direction. The stops have been strategically located in both residential and commercial locations to provide easy access to shopping, healthcare, government facilities, schools, libraries, senior centers, and all other services in the Silver Valley. 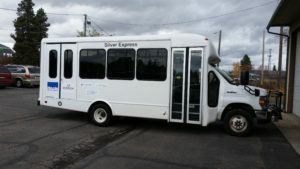 The Silver Express Paratransit services operates as a demand response for pre-qualified passengers that are unable to use the regular bus service. To qualify for paratransit services, a form must be completed and signed by a health professional. Paratransit services are available on a first come, first served basis with next day service. 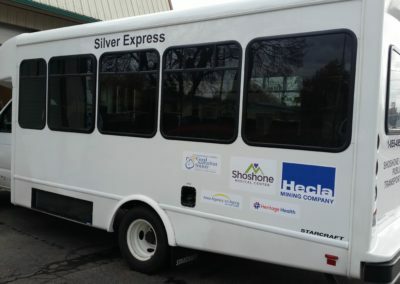 The Silver Express Coeur d’Alene services operates on Tuesdays and Thursdays. This service is operated as a modified fixed route with pickup locations throughout the valley from 7:30 am to 8:15 am in the morning. Drop off locations in Coeur d’Alene will be a demand response. The service provides transportation to Health Care and shopping as well as providing connection to CityLink transit system in the Coeur d’Alene area. Reservations are required. 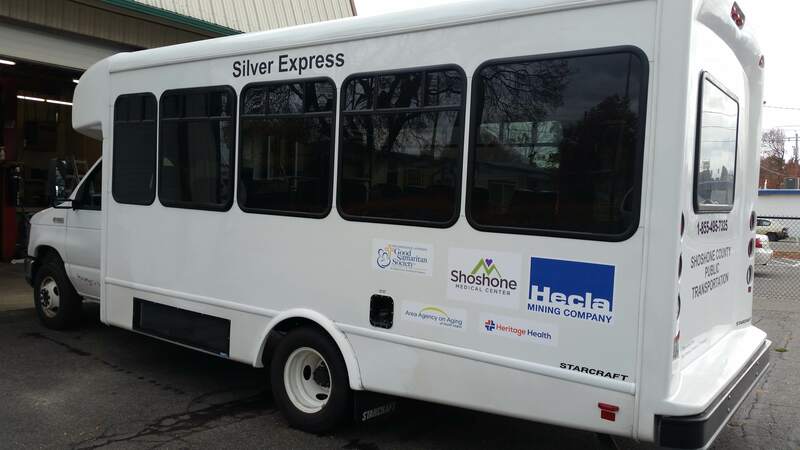 The Silver Express is funded by a grant through the Idaho Department of Transportation, along with matching funds, and operation of the service in contracted with Northwest Medical Transport. 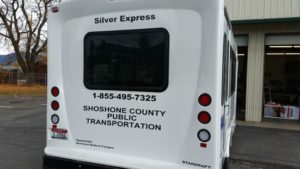 For more information regarding the Silver Express, call the management office at (855) 495-7325.